I’m Steph, and I volunteered for this year’s Big Bookend festival. 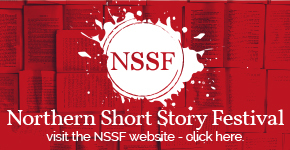 Having just finished my English Literature degree at Sheffield University, I really wanted to get involved with a Yorkshire-based literary festival this summer. So after a serious googling session, I stumbled across The Leeds Big Bookend website. ‘A Rock Festival For Words, what could be better? !’ I thought to myself, and the weekend certainly did not disappoint. Among the many successful and fascinating events of the festival, I particularly enjoyed the ‘Made in Leeds’ discussion on Saturday 8th June. Leeds writers Anthony Clavane and Wes Brown led the group in an open conversation about the influence of Leeds writers on the literary world today. The audience was comprised of other Leeds writers and readers, and they enthusiastically voiced their opinions on their place within English Literature and their future. Anthony Clavane (left) and Wes Brown (right) leading the ‘Made in Leeds’ discussion. Within minutes of discussion it became apparent that the majority of Leeds writers felt their work had been hindered by their geographical location. As a large percentage of publishers are based in the South, Leeds writers admitted to feeling disconnected from the seemingly Londoncentric literary world. Anthony Clavane raised this issue with a great example of the North/South division from a Guardian article about the Granta List 2013. The editor of Granta Magazine, John Freeman, brands the up-and-coming Sunjeev Sahota as “completely out of the literary world” due to his Leeds background. The fact that being from Leeds makes Sahota a surprising candidate for the Granta list is outrageous. What else is simply ridiculous is that Sahota isn’t even from Leeds – I did my homework, and he was born in Derby! This furthermore goes to show that the North has been somewhat dismissed in the literary world, so much so that even Yorkshire and Derbyshire are being blurred into one and marked with a stigma. I must stress that I am not anti-London in the slightest. 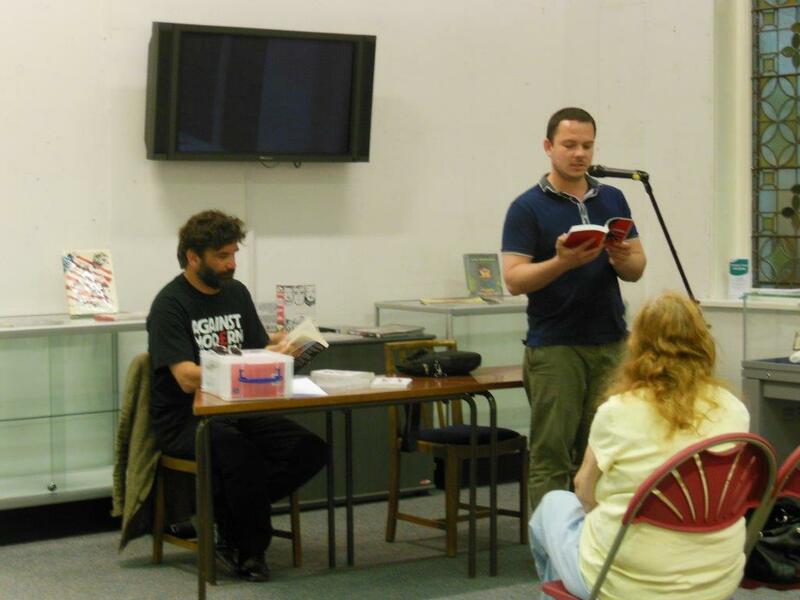 I am merely pointing out, as Anthony and numerous audience members did, that a little more literary union wouldn’t go amiss. Now I have graduated, I am looking to pursue a career in publishing, and have also found it much harder to secure work opportunities in this field outside of London. Luckily I have friends with spare rooms/sofas/floors to help me out! 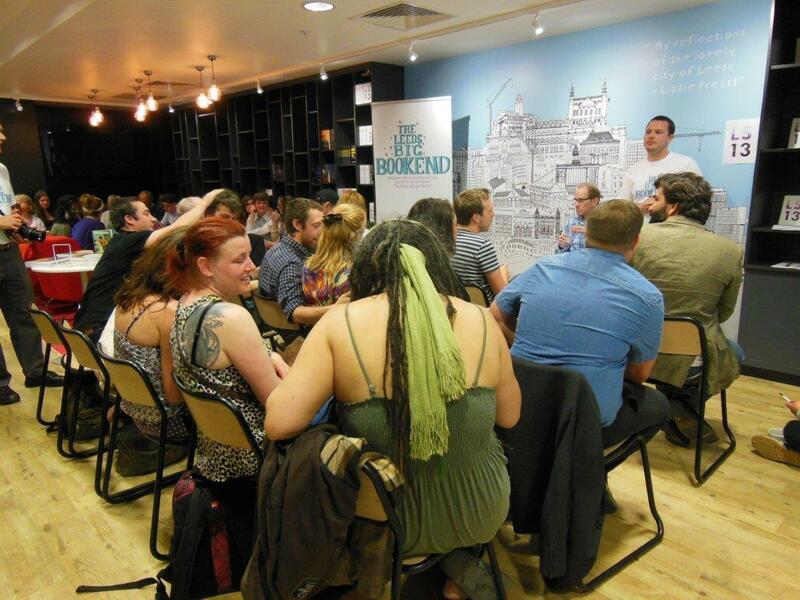 Launching the ‘LS13′ anthology: a room full of Leeds’ freshest literary talent! ‘Made in Leeds’ was also a celebration of the city’s literary greats. Keith Waterhouse, Caryl Phillips, David Peace, Bernard Hare, Tony Harrison and Alan Bennett – just to mention a few. Leeds really does have a rich literary heritage of successful writers, poets and playwrights which cannot be disregarded. These writers have shaped both Leeds’ culture and community, and also the canon of English Literature, something that needs to be recognised and celebrated at festivals like The Leeds Big Bookend. The anthology ‘LS13’ is bursting with Leeds’ future writing stars, and is available to buy here. Previous story Welcome to The Leeds Big Bookend Blog!